Tyra Johnson grew up in coal country. She was never a miner, but she feels a part of the "tribe." Her childhood memories are filled with trains laden with coal. They passed right through her hometown of Beattyville, in eastern Kentucky. She recalls how the trains were so loud that the Sunday preacher had to pause his sermon until they rumbled by. Today those coal trains are mostly a memory. Kentucky had 35,000 mining and logging jobs in 1990. Now there are only 11,000. It's a similar trend nationally. 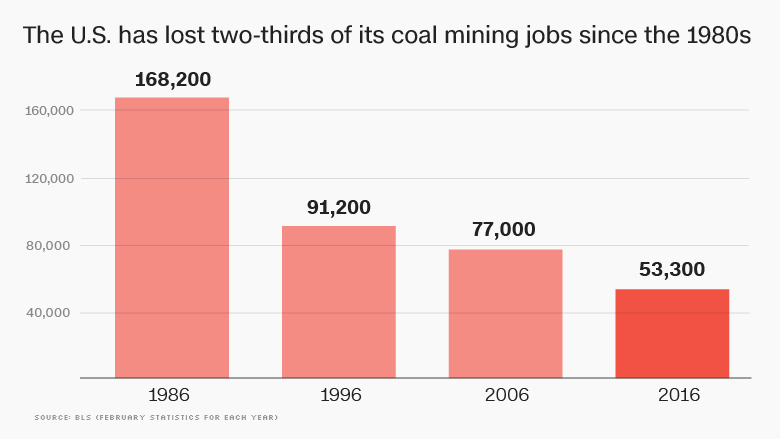 Over two-thirds of the coal jobs have disappeared since the late 1980s. "We will put our miners back to work," President Trump proclaimed last week as he signed executive orders to encourage more use of coal (and other fossil fuels), rolling back President Obama's initiatives to stop climate change and global warming. Trump was aiming his message at places like Beattyville, which earned the nickname "America's poorest white town" and desperately needs jobs. Coal country voted heavily for him. But the people of Beattyville -- and the hills around it -- aren't all cheering Trump's recent actions. There's a deep rift in the area about whether it's wise to bring back the coal jobs. People worry about what it will do to tourism, the land and their health. Some see coal as a job of the past, not the future. 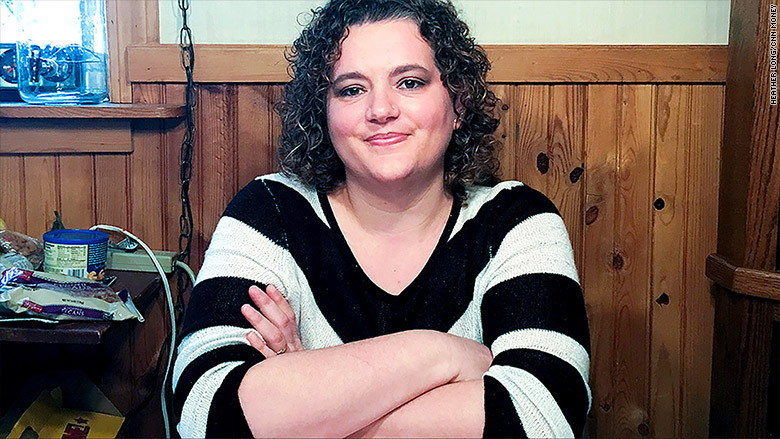 "We need to bring back tobacco and coal," says Johnson, who is now a 39-year-old mom with curly brown hair, but she doesn't want her children working in it. She pushed her eldest to go to college. She also drinks bottled water because she suspects the local water is tainted. Johnson is equally quick to acknowledge that some of the only jobs coming to eastern Kentucky lately are in tourism. About 120,000 people in Kentucky were employed in "leisure and hospitality" jobs in 1990. Today that's up to 190,000 jobs. In fact, some of the old mining and logging roads are now hot tourist destinations. "You can drive ATVs [all-terrain vehicles] right through the caves," she says with pride. The landscape is everything to the people of eastern Kentucky. They feel tied to it and want to talk about its rolling hills, rivers and natural bridges. Tyra Johnson of Beattyville, Kentucky, wants jobs to return to her town. "I just love this area," says Tyler Chrisman, a 27-year-old who never wants to leave, despite the economic challenges. Bringing back coal here means the return of strip mining, a practice of blowing up the tops of mountains. Chrisman sees coal as the past. He's glad that places like "Happy Top," a former strip mine on one of the hills outside town, is now a park. "I think our community should focus more on eco-tourism rather than destroying the mountains and blasting the mountains away trying to get coal and polluting our streams," says Chrisman. Chrisman has a unique perspective. He actually worked in the fossil fuel industry. Right after graduating high school, he joined a small oil drilling company owned by his grandfather. He earned $15 an hour pumping oil. It was the best paying job he's ever had. But when his grandfather sold the business, Chrisman started working in Kentucky's burgeoning tourism industry where he learned to rock climb and rappeling. Today, he earns $9 as a guide at an adventure park. It's the best job he's ever had, he says, and he'd never go back to drilling. Jobs of the future: Internet based? 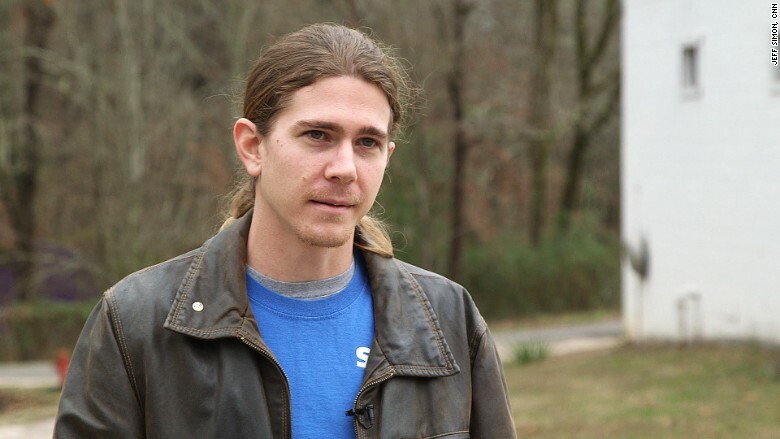 Tyler Chrisman used to work in a oil field in Kentucky, but he doesn't want the coal and oil jobs back. He'd rather see his town grow tourism and rock climbing. Beattyville Mayor John Smith, a staunch Republican and Trump supporter, also has his doubts about the return of coal or oil drilling to this part of the country. "I think we need to look at something a little bit different," Smith told CNNMoney. He's most excited about an internet company called Teleworks USA that came to Beattyville a year ago in a partnership with the Eastern Kentucky Concentrated Employment Program, which tries to retrain people. Teleworks has created about 80 jobs by training people to handle customer service calls from their homes. The jobs pay around $9 an hour, lower than the energy jobs once did, but significantly higher than Kentucky's minimum wage of $7.25 an hour. Smith isn't alone in having doubts about a big return of coal. Energy experts -- and even some coal company executives -- say there's no way the coal jobs are coming back. Other forms of energy like natural gas are cheaper and cleaner than coal. Coal employment "can't be brought back to where it was before the election of Barack Obama," said Robert Murray, CEO of Murray Energy, the largest U.S. private coal miner. 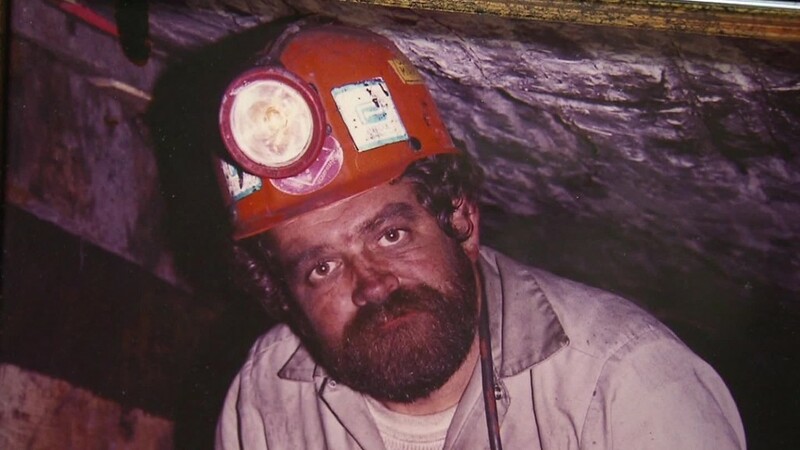 The one remaining mining company on Beattyville's Main Street, Sturgeon Mining Co., didn't return CNNMoney's calls, but the owner told The Guardian in 2015 that there's "no future" in coal and he was trying to get out of the business. "These are not dumb people [in Beattyville]. Despite what people think, the people back here understand reality," says Chuck Caudhill, the general manager of the local paper, The Beattyville Enterprise. He predicts only a few strip mines will return, if that. Patricia "Trish" Cole, an EMT in the area, really doesn't want to see coal return. Her uncle got hurt in the mines and she treats a lot of people with black lung disease. Coal companies are still paying various severance payments to families and towns in Appalachia for clean up and care. "I grew up on a farm. We burned coal. I know how nasty it is," says Cole. "We haul people on the ambulances that have black lung." The coal severance money even helped pay for a museum -- the Three Forks Historical Center -- in town. It's a treasure trove of war and frontier life memorabilia that has a 4.5 star rating on Trip Advisor. Many visitors are blown away by the small town's collection, which includes a flag that flew at Pearl Harbor. "I don't think too highly of the coal," says Bob Smith, who oversees the museum and personally collected many of the items in it. He and his wife drew up plans for a massive outdoor pavilion. They dream the area could become a bluegrass music hub, but the project never got funded under Obama. 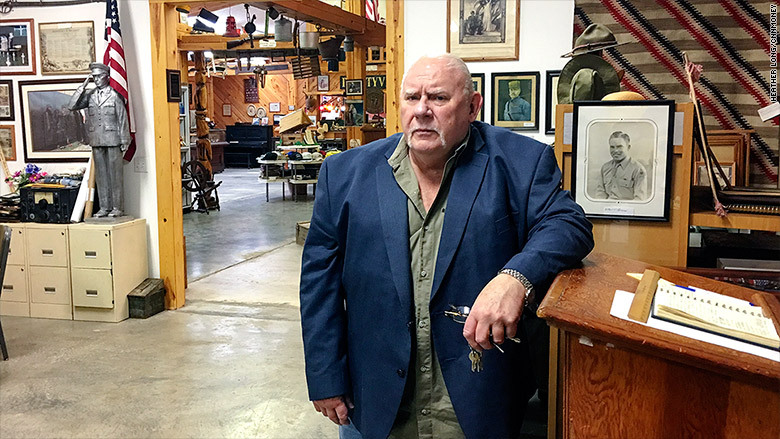 Bob Smith stands in the Three Forks Historical Center, a museum in Beattyville, Kentucky. One of the most buzzing places in Beattyville is a local coffee shop, The Art Factory. It feels like something right out of a hip neighborhood in Brooklyn, except the prices are a fraction of what they would be in New York City. There's a large map on the wall where visitors are encouraged to put thumb tacks marking where they come from. There are pins from all over the world. It's a reminder that Appalachia is starting to be known for a lot more than coal and oil. "When a lot of rock climbers come and see this area, they want to live here," says Steve Mays, judge, executive in Lee County, of which Beattyville is the county seat. "This is some of the most beautiful areas you will ever see." Mays is a big fan of Trump's, but he cautions the president to be careful on the environment. "I'm not saying throw everything away. There's a balance there" between jobs and the environment, he says. --CNN's Matt Egan, Poppy Harlow, Haley Draznin and Jeff Simon contributed to this report.